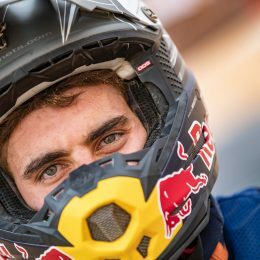 Troy Lee is a huge name in offroad. The former racer began his business painting helmets 33 years ago, before starting his own motocross race team in 2004, which has had varying success. The TLD brand is renowned worldwide for making quality helmets and gear, so with the company’s success, Troy himself wanted to put something back into the sport he loves. 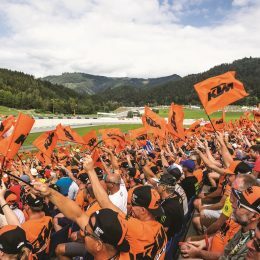 This year sees another twist in the story, as Troy became part of the KTM family when the team switched manufacturers with its sights set on championship glory. We caught up with Troy to find out about the deal and going orange. 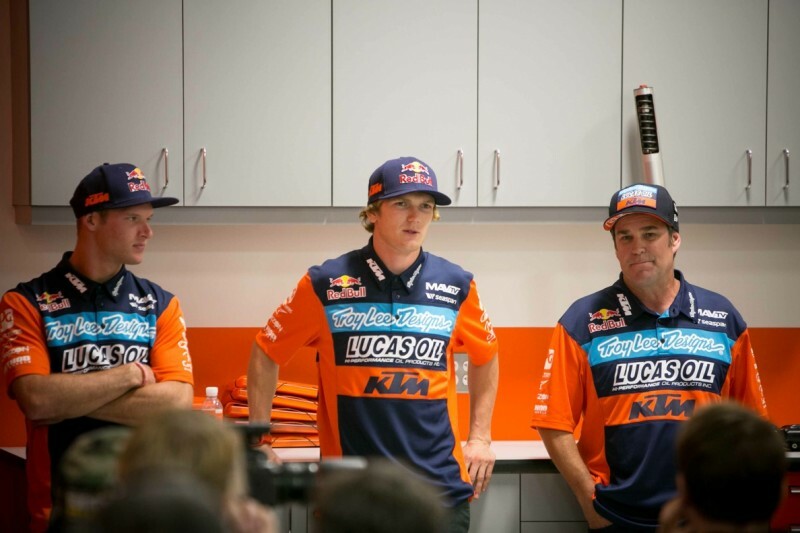 With a very short time to switch brands and the distance between Corona and KTM’s USA headquarters in Murrieta, the decision was made to move workshops and begin with a new base there. 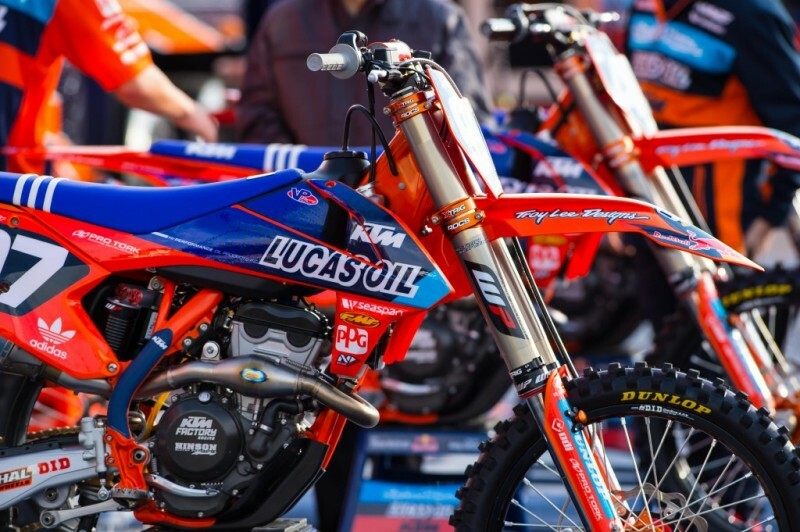 It was also a big step as KTM was also moving onto a new bike, the 2015 KTM 250 SX-F Factory Edition, which had seen some quite major changes over the standard model. 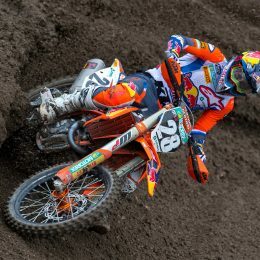 This year the team is focussing on the West Coast 250SX championship with Jessy Nelson and Shane McElrath. It’s already kicked off well with Jessy winning round one of the series in Anaheim with two further podiums to date, and Shane McElrath making his first trip to the podium in San Diego. 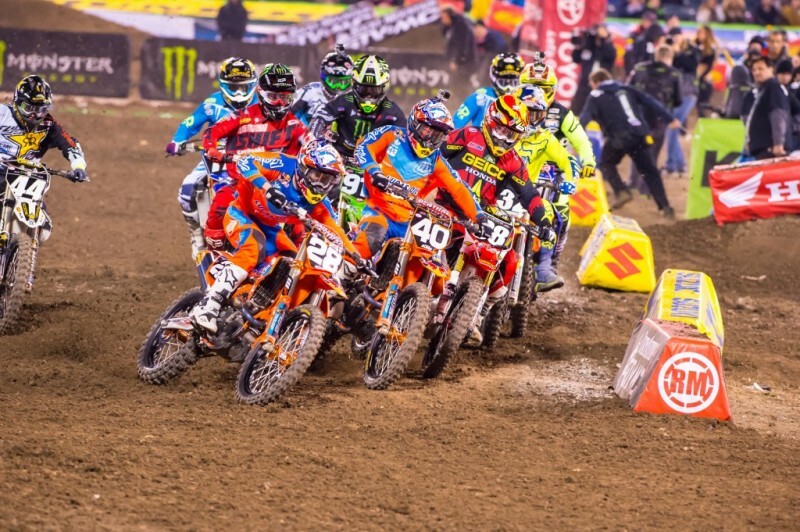 Going into the break (as the East Coast 250SX series takes place) Nelson is second in the standings and McElrath is fifth. Darryn Durham had to sit out of proceedings due to surgery required to repair a bent screw in his wrist early in the season. Troy tries to be as hands on as possible despite running a global business, riding himself (and recovering from injury), and keeping an eye on his son’s own riding. He wants to make sure everything performs at its best and looks its best, and with only a short time before the start of the season he had very little time to get the semi painted, new designs for everything and make the switch to KTM. 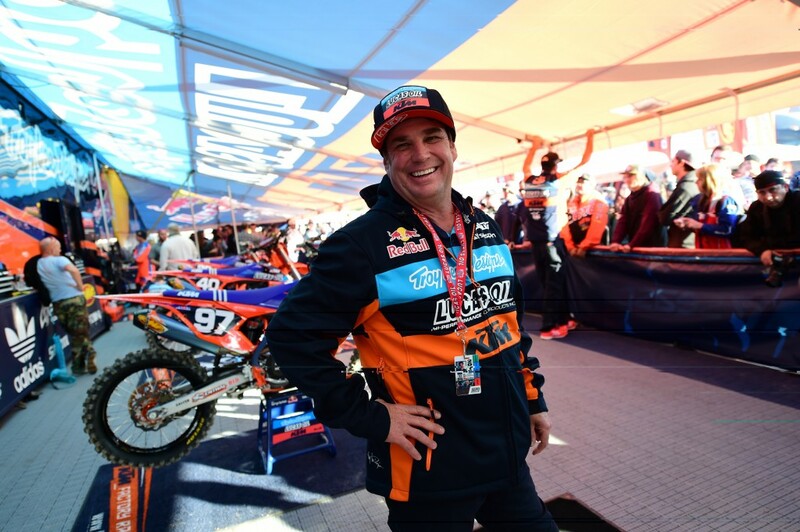 From a business side Troy and KTM will also benefit, as Troy is designing a clothing line and everything from the bike stands to the bike graphics the t-shirts, which will hopefully include a collection for KTM to sell. Troy really seemed like his passion has had another rejuvenation with this new collaboration (even though it’s clearly not needed) and he’s excited about the future with KTM.